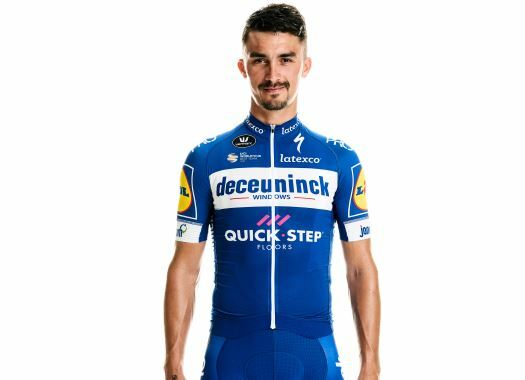 Deceuninck-Quick-Step's Julian Alaphilippe is set to return to racing at the Brabantse Pijl. The Frenchman had to retire from Itzulia-Vuelta al Pais Vasco following a heavy crash. The rider didn't suffer any fractures or serious injuries at the crash of the third stage of the Spanish race, but the abrasions and the pain were enough to make him decide to step out of it. After recovering, the rider will come back to racing at the Brabantse Pijl. "Obviously, I am very happy that our medical team have not found anything too serious with my injuries," Alaphilippe commented. "I am now looking forward to recovering a little and returning to full training ahead of the classics. "I rode a little bit today and I am hoping to build on that in the coming days. Brabantse Pijl will be important for me to help get back into the rhythm of racing ahead of the Ardennes Triptyque." The rider is enjoying an outstanding season in which he has taken eight victories, including the ones in Strade Bianche and Milano-Sanremo, making him the most successful rider of Deceuninck-Quick-Step of the season so far.